An outstanding dinner in a authentic Venetian Wineyard. 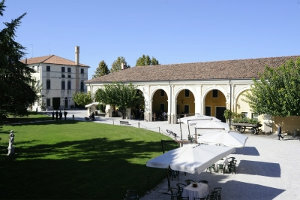 We will enjoy our dinner in the Wineyard spaces, moving from the old barrel warehouse, proceeding under the portico, and finishing outside, in the park, under some nice gazebos. Price will be 65,00 € per person, transport included.